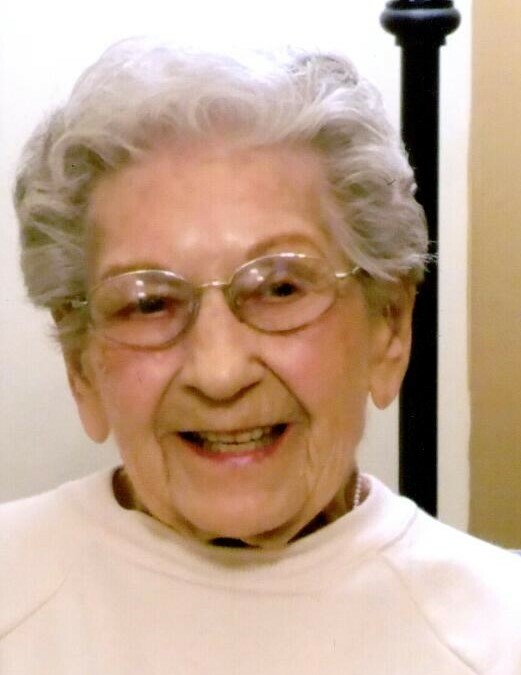 Anita Copeland, 94, of Celina, passed away at 12:30 a.m. Sunday, November 11, 2018 at Miller Place. She was born on April 6, 1924 in Ohio City, OH to Andrew J. & Laura (Kreischer) Bolenbaugh who preceded her in death. On June 26, 1942 she married Carl R. Copeland and he passed away on July 6, 2005. Survivors include two sons, William “Bill” (Ruth) Copeland of Ft. Wayne, Barry (Lois) Copeland of Celina; 8 grandchildren; 14 great-grandchildren and a sister Pearl Whitehead of Celina. She was preceded in death by daughter, Bonnie Hullinger; 6 brothers, DeLoyd, John, LeRoy, Alan, Bill, Donald and 3 sisters; Arlene, Margaret and Ethel. Anita worked at Dave Valentine’s Hardware in Rockford, Van Fleet’s Drug Store, Rockford Canning Factory and Huffy’s. Funeral services will begin at 11:00 a.m. Friday, November 16, 2018 at Lehman-Dzendzel Funeral Home, Celina with Rev. Diane Mendelson officiating. Burial will follow at Mercer Memory Gardens. Friends may call from 4-8 p.m. Thursday and 1 hour prior to the service at the funeral home. Memorial contributions may be directed to Community Health Professionals.